The Republic of Rwanda lies in the Great Lake region of East Africa. Bordered by mountains to the west and savannah to the east, Rwanda is endowed with lush greenery and fascinating wildlife. What other reasons do you need to visit Rwanda? We could think of at least six. Rwanda’s historical heritage, its climate, its landscape and its people are what makes it the country it is today. It was colonized by the Germans in 1884, and it was subject to Belgian regime during the First World War. Things went from bleak to terrible for the locals during the Rwandan genocide, but they have now recovered to a large extent. The economy is primarily supported by subsistence agriculture and tourism. Surprisingly, Rwanda has a climate more similar to that of Germany rather than other African countries. Its capital and largest city, Kigali, is located at the heart of the country. You wouldn’t be the first person to think that Africa isn’t safe to travel, but you’d be wrong to assume it. Rwanda is a case in point. The people here are friendly and eager to help. Still not convinced? Here are the top reasons we think you should visit Rwanda. 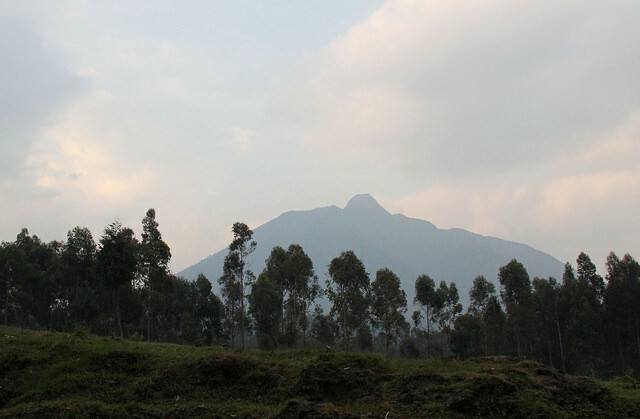 When it comes to the Mountain Gorilla, the Volcanoes National Park is one of its last standing strongholds. Located in the North East of Rwanda, the park draws its name from the five volcanoes nestled within, covered in bamboo moors and rainforests. At the foothills of the volcanoes, the park boasts meadows, marshes, lakes, swamps, grassland, rainforests, and lower montane forests. Volcanoes National Park is also rich in fauna, with the Golden Monkeys, Buffalo, Spotted Hyenas, Bushbuck and the famous mountain gorillas, among others, roaming freely. The largest city in Rwanda, Kigali is also the capital. It was built on a hilly location with an average elevation of 1,600m above sea level. Its highest point, Mount Kigali, stands at 1,850m tall. It enjoys a cool subtropical climate with temperatures ranging between 15⁰C and 27⁰C (59F to 81F). Founded in 1907 under German colonial rule, the city was only designated the capital following Rwanda’s independence in 1962. Kigali was also the centre stage of the Rwandan Genocide of 1994. More than two decades after the civil war, it has become known for its peacefulness and the laid-back attitude of the locals. With its clean streets and its paved roads, it brings to mind a typical European town. 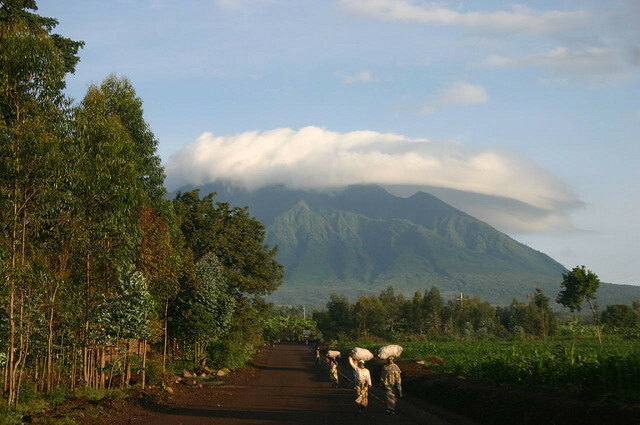 A chain of volcanic mountains, Virunga Mountains are located towards the northern border of Rwanda. Enclosed with lush lower montane forests, they’re best known as the home of one of the last surviving populations of mountain gorillas. The mountain range includes eight volcanoes, most of which are dormant or extinct. With a range of scenic trek routes, it’s also one of the world’s greatest trekking hotspots. One of the most breath-taking sights is Mount Visoke, whose splendid crater lake hovers at 3,711m above sea level. 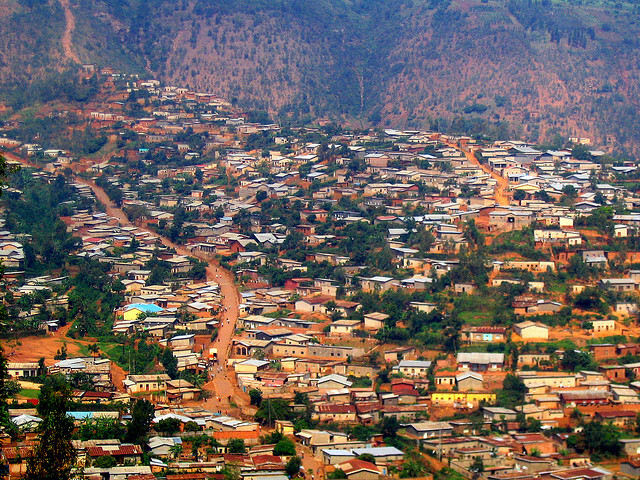 Once the capital of colonial Rwanda, Butare lies in its southern region. With its colonial architecture, churches, clean streets, museums, bistros, cafes and terraced restaurants, it’s a lively city that stands out in the lush Rwandan scenery. It was renamed Huye, but the locals still prefer to call it by its name for the olden days, Butare. 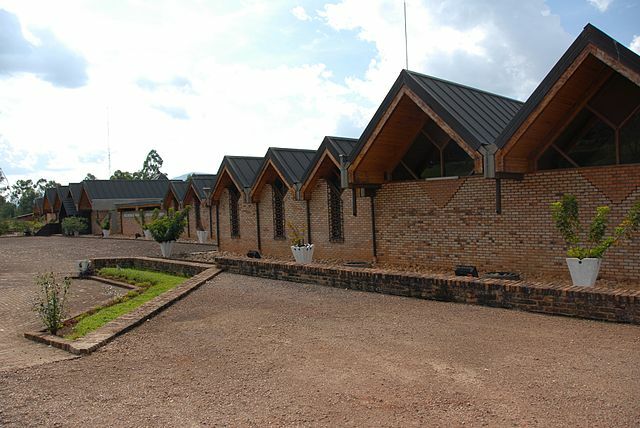 Some of its major attractions are: the Ethnographic Museum, the Ginkoro Genocidal Museum, the Huye Market and the National University of Rwanda. Located in the Great Lakes region of Africa, Rwanda is a natural paradise endowed with pristine lakes and charming lake beaches. Its border with Congo is sprinkled with lakes, five of which are volcanic and one of which is the largest freshwater lake in the country. 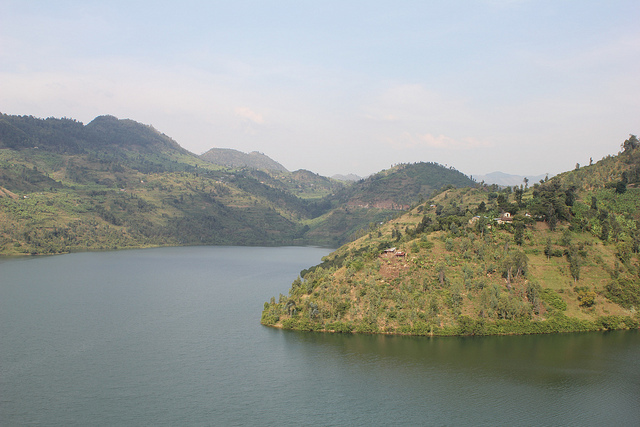 The latter, called Lake Kivu, is enclosed by terraced hills lined with some of Africa’s most beautiful resort towns. To the north lie Lake Burera and Lake Ruhondo, two lesser known areas that are equally stunning. Bordered by mountains, they make a fantastic hangout for those who enjoy trekking, hand gliding, water skiing and various other thrilling sports activities. The surrounding forests are also perfect for gorilla safari. Perhaps not the first attractions that come to mind for those visiting Rwanda, our Genocide Memorials are, nonetheless, extremely popular with tourists. The country has made great strides since the genocide of 1994. To those who live here, however, it’s important that visitors know about the horrific incident that took place in Rwanda two decades ago. The Kigali Genocide Memorial is a museum developed to preserve the memory of this moment in Rwandan history that shook eastern Africa. 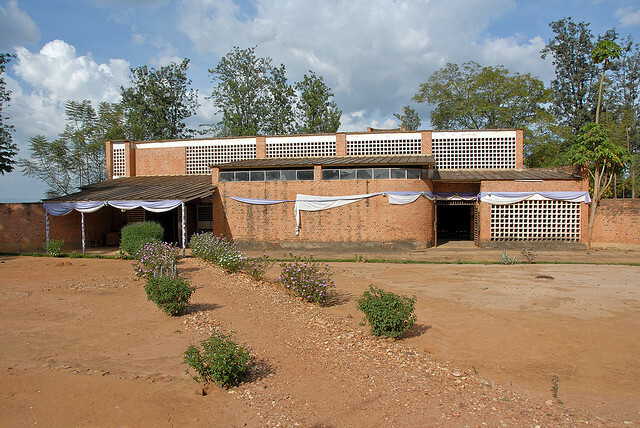 Located in Gisozi, the memorial centre rests on the burial site of more than a quarter of the estimated 1 million genocide victims. It lies surrounded by gardens and it showcases a wall bearing the names of the victims. Towards the south of Kigali, in the regions known as Nyamata and Ntrama, there are several churches which were the sites of the horrendous massacre of countless people seeking refuge here. A school in the area was also the site of a ruthless massacre, and it houses a museum containing the preserved bodies of the victims and a detailed history of the outbreak of the genocide. In terms of climate, Rwanda is unlike other African countries. Despite its proximity to the equator, the weather is pleasant throughout the year due to its altitude. So, should you wish to visit these and many other local tourist attractions, you’ll always have the weather on your side. Rohit Agarwal is a traveller with a special interest in historical sites. An architect by profession, his prime interest lies in historic architecture. He is also a contributor for Transindiatravels.com, the best place to gather reliable tourist information about sites and attractions in India.